Don’t impound the cow, just moooove it! I read this news story online this afternoon and I thought I’d share it with you. 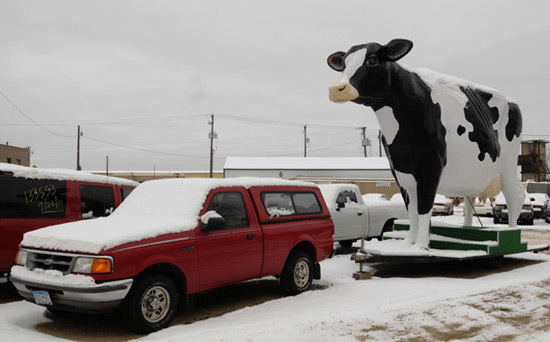 The poor “cow guy” who lives in St Paul, Minnesota got his 20-foot tall fiberglass cow impounded yesterday, probably for sitting a little too long on a trailer in front of his house and bothering a few neighbors (how rude of them). 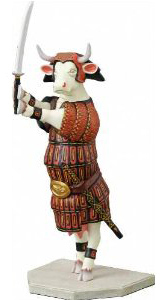 Norb Anderson’s (the cow guy) cow is said to be worth $22,000 (that’s a lot of moola!) and Anderson rents it for parades and advertising purposes. Holy cow, can you imagine this giant cow standing in front of your business? It would be an attention getter for sure. Would the police please give me the poor cow guy his cow? He’s 77 years old and Social Security monthly payments don’t put much food on the table nowadays. Don’t the cops know it’s almost Christmas time? 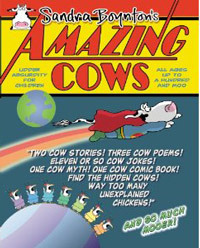 Previous Post The birds and the bees, and… a cow? Next Post What about cows to decorate your baby’s bedroom walls? Shame! Leave the cow alone.